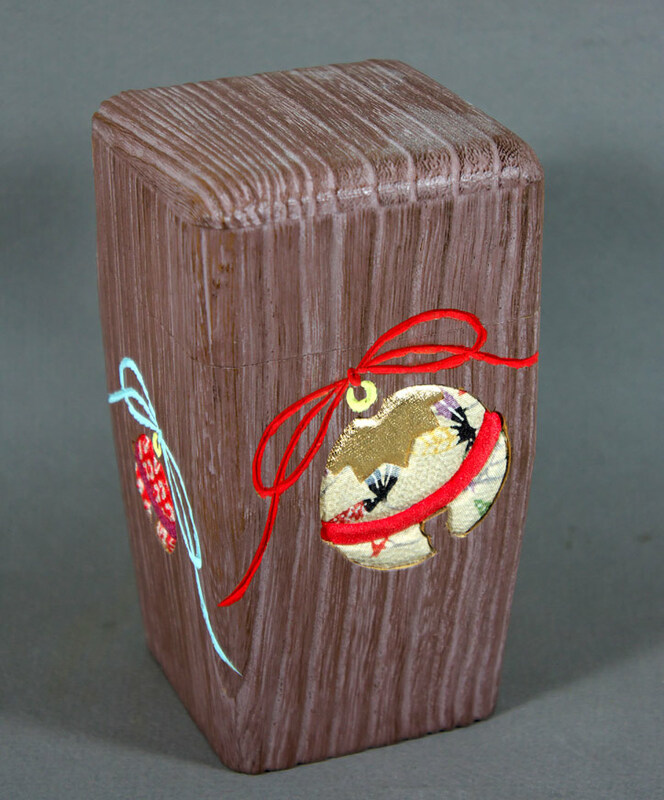 A Japanese “torched” wood textured surface tea caddy with painted and inlaid fabric decoration. 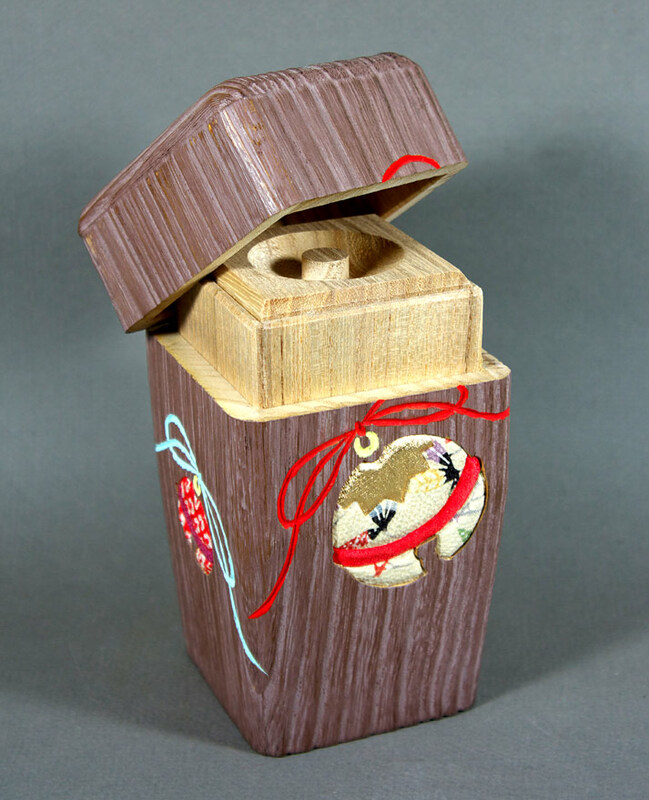 Inner container with separate lid. Late 20thc.